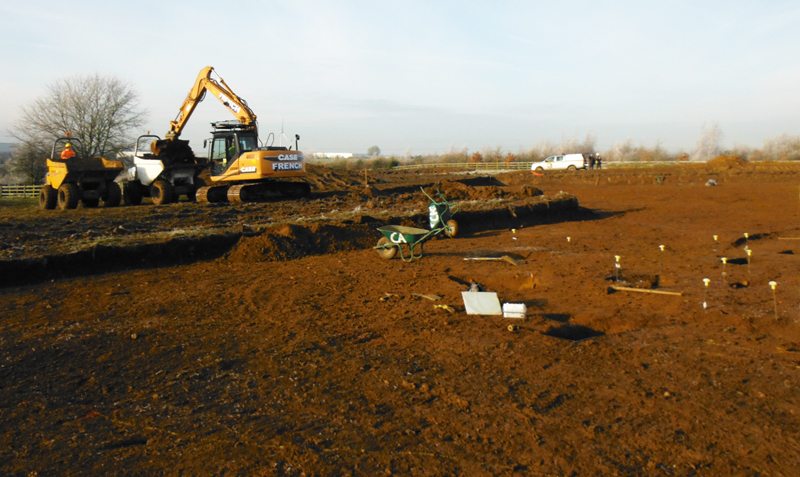 An open area excavation was carried out by Cotswold Archaeology at the request of the Environmental Dimension Partnership (EDP) on behalf of Gallagher Estates. The excavation site lies within pasture fields to the north-west of the village of Crick. Previously, a geophysical survey (Railton 2011) and field evaluation (Railton 2012) had identified a square ditched enclosure of either Iron Age or Roman date as well as other features and deposits external to the enclosure. It was therefore confirmed, by the Northamptonshire County Council Development Control Officer, that archaeological excavation should take place prior to the approved development of the site. The work was carried out in the winter of 2012/13. The excavation revealed a series of burnt spreads in the south-west of the site. A prehistoric date is suggested for them because (1) they were cut by later features and (2) a few pieces of worked flint were recovered from one of the spreads. The origin and purpose of the burnt spreads are unclear. 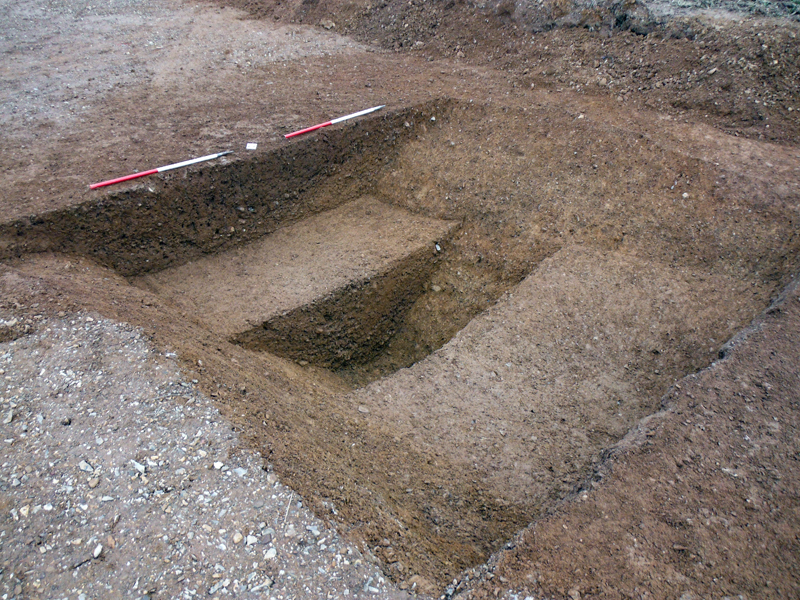 A Late Iron Age settlement enclosure ditch was recorded on the higher ground towards the north and centre of the site. The ditch was up to 4.5m wide and 1.8m deep in places. It enclosed a rectangular area of c. 0.3 ha, with an entrance in its north-west corner. Within the enclosure lay some Iron Age pits and a roundhouse approximately 9m in diameter, originally of timber. Its shape was defined by a circular drip-gully which would have would have helped to drain away the water running off the roof. A gap in the gully showed that the house had an entrance facing north-east. Six additional semi-circular gullies within the enclosure may be the partially truncated drip gullies for other round houses, or slighter structures associated with the keeping of livestock or for other agricultural uses. Although it is likely that these gullies are also Iron Age, no artefacts were found to help to date them. The Iron Age enclosure ditch remained in use into the Roman period. Part of the ditch was re-cut and the enclosure formed the axis of a series of right-angled ditches that defined Roman field boundaries. A lot of Roman pottery was found in these ditches and included some fragments of fine table wares. A heavily corroded iron horseshoe found on the site may also be Roman in date, and will be x-rayed to provide more information. Our Post-Excavation team is currently in the process of compiling evidence for publication in an archaeological journal. Keep up to date with progress here and on Facebook and Twitter.